It was when he was living with his family in San Miguel De Allende, Mexico in middle school when Griffin Holtby realized he was meant to create music. After spending third grade at The Paul Green School of Rock in Dallas he realized he loved to be on stage. In Mexico he continued lessons with local teacher, Elena Shoemaker. At her annual show, his rendition of “Bridge Over Troubled Water” had many of the women in the room wiping away tears. That was when he began to understand the power of music, and he knew he wanted in! Now at 19 years of age, Griffin is a Texas Rocker who packs a punch! His music has been described as Blues Influenced Power Rock, and sometimes Outlaw Blues. Connecting through his story lines, inspired by art and real life, he hopes to spread peace and let his music be an agent of change. Griffin’ goal is to make people feel hope. He wants them to know that they are not alone. Having played in several bands and projects, Griffin is a voracious songwriter with many original songs in his back pocket. 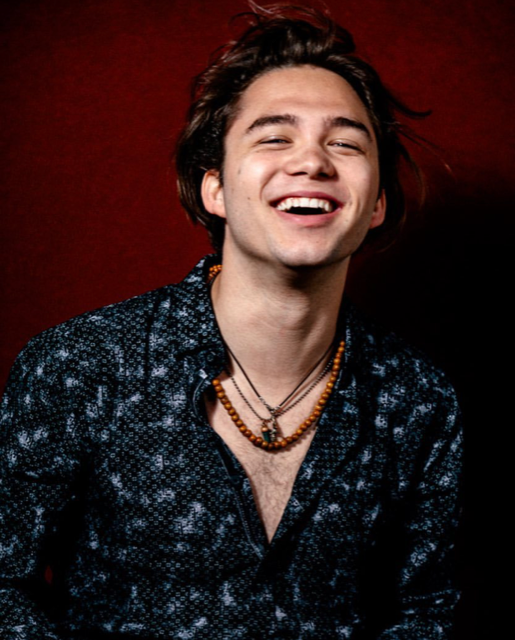 In 2018, Griffin embarked on a 3 week Boys of Summer United States Tour and ended the year in Houston on an Anti-Bullying tour called All Star Nation. He has performed in many venues including Whiskey A GoGo in Los Angeles, Underground Arts in Philadelphia, Lincoln Hall in Chicago and House of Blues, Hard Rock Cafe and Trees in Dallas. Inspired by the legends of music: Johnny Cash, Elvis, Guns n Roses, and Jack White, Griffin strives to carry the stories of life on stage and through his music.